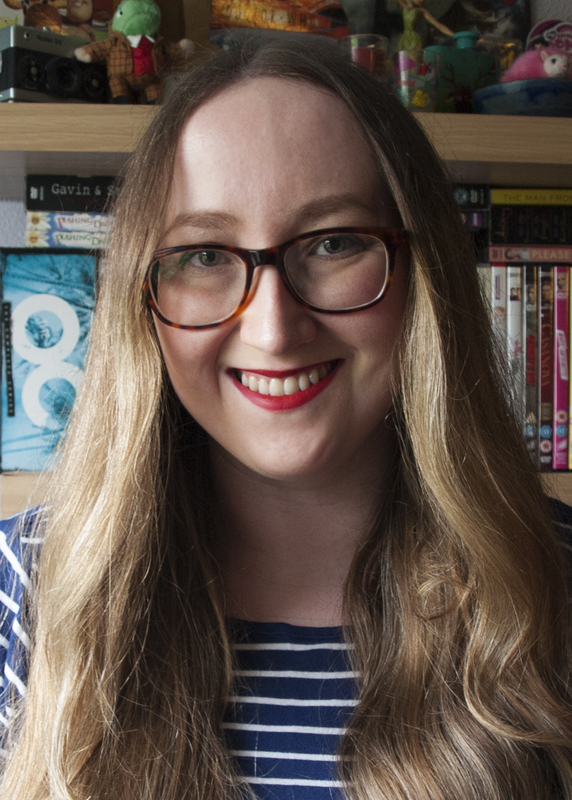 Anastasia Gammon: Gift ideas for Fangirls for under £20. In case you missed it, a couple of weeks ago I posted about gift ideas for Space Girls for under £20! I enjoyed putting that post together so much that I thought I'd have another little go, this time with some gift ideas for the all the Fangirls in your life. You can never go wrong with a bookmark for a fangirl who loves books. These Harry Potter inspired personalised bookmarks from sonicincedio are super cute and you can even have it personalised with your Fangirl's initial for a special touch. Or if your Fangirl prefers something a little more in the realm of general fantasy, craftedvan has this adorable set of magnetic bookmarks featuring possibly the cutest dragon I have ever seen. This set of Magic Notebooks from Literary Emporium would be the perfect gift for any Harry Potter Fangirl who is also a writer or maybe just wants to feel a little bit like they're studying Potions with Professor Snape. 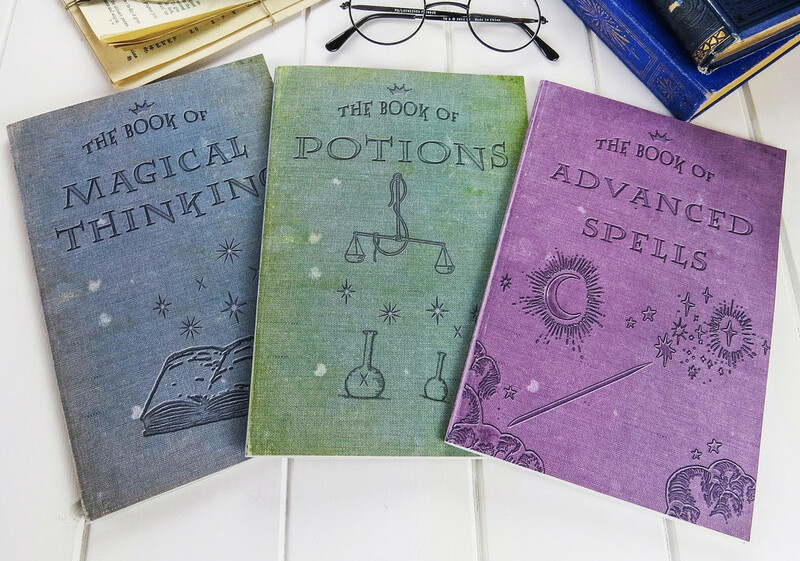 You can buy the set of all three of these notebooks inspired by Hogwarts classes or buy any one on its own and I think any Harry Potter fan would appreciate these little A5 sized beauties. 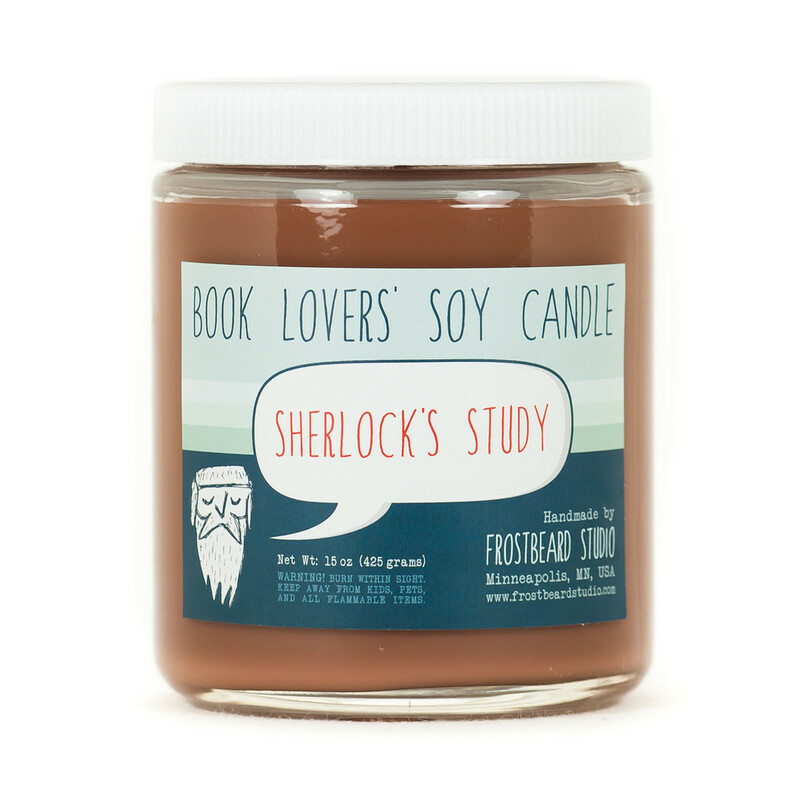 Okay, so once you take into account the postage for shipping to the UK from this Canadian company, these candles probably edge a little over the £20 mark, but Frostbeard Studio has an amazing selection of candles with scents perfect for any book lover, and what could be better for any Sherlock Holmes fan than a chance to make their bedroom smell like Sherlock's study? I have actually posted about this I Capture the Castle bag before, when I bought it for myself a few months ago, and I'm sure any fan of Dodie Smith's beautiful book would love this bag just as much as I do. 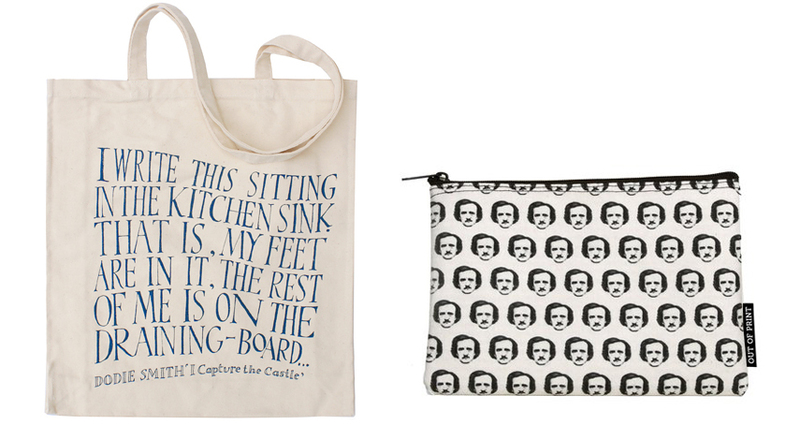 It's a lot bigger and stronger than a lot of tote bags, so there's plenty of space to fill with books! I also love the look of this Poe-ka Dots pouch, perfect for keeping together all of those pens and sticky note tabs that always end up rolling around in the bottom of literature students' bags (I know. I was one. I still find sticky note tabs in my bags sometimes) and, of course, absolutely perfect for any Poe fan! If you know a TV Fangirl then there's a good chance she might be a fan of Parks & Recreation and if she is then it's a sure bet that she is definitely a fan of Ron Swanson. And what Parks & Recreation fan wouldn't want a pair of Ron Swanson stud earrings? None I know. 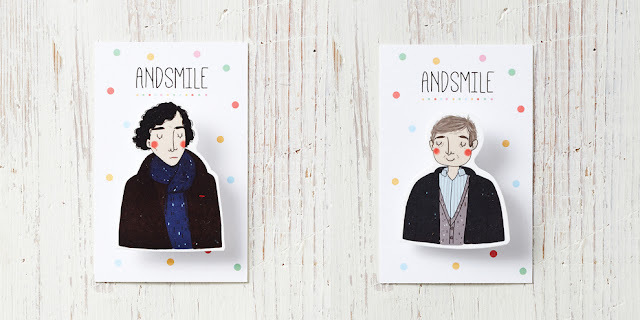 But if your Ron Swanson Fangirl doesn't have pierced ears, or just if she's more the brooch wearing type, this wooden brooch from kateslittlestore will totally fit the bill. I hope I've given you maybe one or two ideas for gifts for Fangirls in your life? I highly encourage you to go to all of these websites and take a look around because these shops all have a lot of different options for fans of all sorts of things!